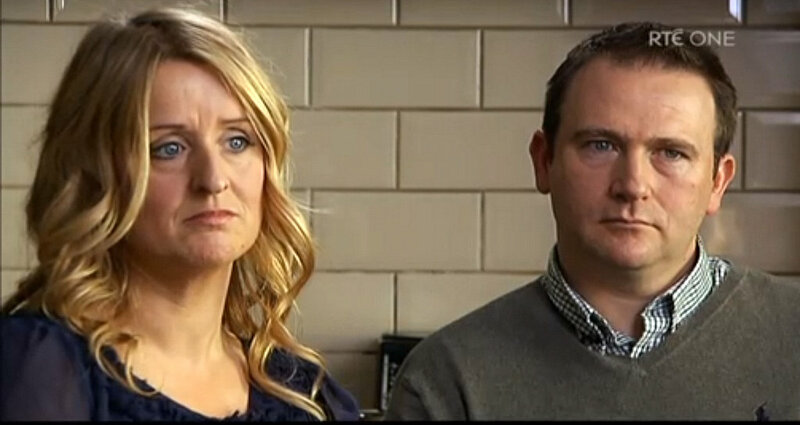 Roisin and Mark Molloy on the Prime Time programme last year. THE MOTHER of a baby who died in Portlaoise Hospital yesterday demanded the HSE prove their maternity services are safe. Roisin Molloy’s call came after the HSE’s Dr Alan Finan re-assured people about the safety of maternity services in Our Lady of Lourdes Hospital, Drogheda. Dr Alan Finan was responding to a HSE report which found 13 ‘significant incidents’ of a breech birth being diagnosed there over a two year period. The Clinical Director of Women and Children Services in the North East’s had told Newstalk’s Breakfast programme: ‘I believe services in Drogheda are certainly on a par with the major centres around the country. ‘It has transformed itself and it currently runs a very open and honest service. ‘It is at the forefront of maternity care nationally. But, speaking on the station’s lunchtime news programme later, Mrs Molloy said HSE ‘spin’ on the issue of safety was not acceptable anymore. And she said that unless the HSE can prove the safety of its maternity services, she was unable to take HSE assurances about safety seriously. She also claimed that parents affected by maternity services-related incidents are being kept in the dark by the HSE. And she urged all mothers and fathers using maternity services to have the confidence to demand answers to anything they were unsure about. 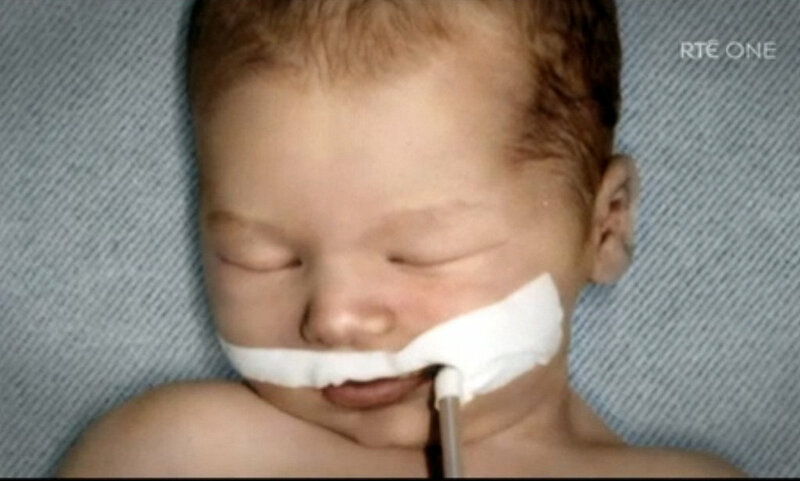 Mrs Molloy’s baby son Mark died 22 minutes after being born on January 24, 2012 after a delayed emergency Caesarean section. The failure by staff to act promptly when a foetal heart monitor showed he was in distress at the Midlands Regional Hospital. Portlaoise, also contributed to his death. Baby Mark Molloy Jr shortly after his birth. Mrs Molloy and husband – also called Mark – sued the HSE in relation to his death. ‘Up until Mark’s death and Savita Halappanavar’s death, we would say that maternity services in Ireland had really gone under the radar. ‘There was numerous deaths in our hospitals right across Ireland, babies deaths that could have been prevented, mothers’ deaths that could have been prevented. ‘It’s no longer good enough for the HSE coming out with the spin that Irish maternity services are safe. ‘We need to see why they are safe. ‘We need to see why these incidents keep happening again and again and again. On the issue of HSE audits into services, Mrs Molloy – who, the High Court found in 2014, had not received a full and frank account of what caused her son’s death, said: ‘In the number of baby deaths in Portlaoise Hospital, there had been no audit done on the reading of a CTG trace reading ever, in Portlaoise Hospital despite the fact that that was a common denominator in all our babies deaths. ‘Is that something they are doing in other hospitals or is this a new thing, that it’s something they have to look at. ‘I think they need to be asked the question, if they are basing their standards on rates in other hospitals, they need to show us their research – not to show that it has been done. 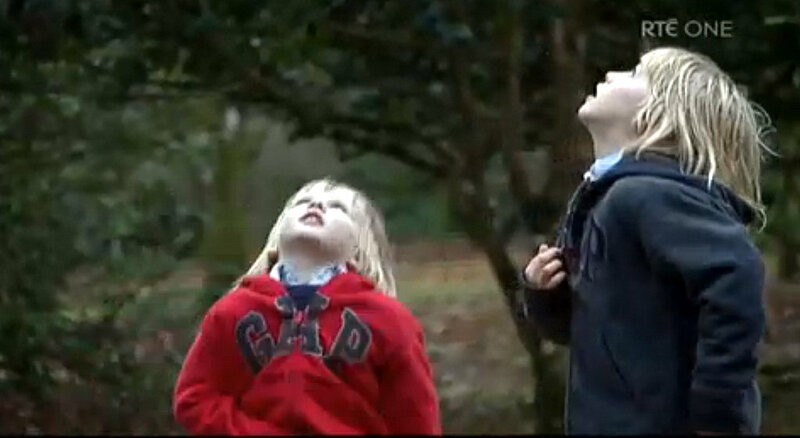 Two of Roisin and Mark Molloy’s four sons. And Mrs Molloy – who is campaigning for more openness and transparency in the reporting of medical errors – warned: ‘Each mother and father going in to have a baby in hospital need to ask the most basic questions. ‘And if they are not happy with something, they need to have the confidence to say they are not happy. ‘We have fantastic staff (in the maternity services), and then we have staff that aren’t so fantastic. She said she is dealing with a number of families affected by maternity service-related incidents. Of these, she said: ‘The common thing among the families is that they have been excluded from any investigation process, have never been told what happened. ‘It’s like the doors are shut on you. ‘And when you ask a question, you are not given answers. ‘There is no open disclosure, there is no one telling you exactly what happened. ‘You are the one who has to make the effort. ‘The HSE are telling families their baby shouldn’t have died but they are leaving it at that. ‘There is no follow-up care at all. And she added: ‘I can find very little evidence that there is anybody listening or that there is evidence that there is change. A transcript of Mrs Molloy’s interview was emailed to the HSE yesterday evening but a spokesperson was unavailable. A Department of Health spokesperson said: ‘We would not normally comment on individual cases. Previous Previous post: Samsung TVs don’t spy. Next Next post: Missing Dublin pensioner found on Blackpool beach.